Anthony's Thick or Thin Pizza? Both are great, but there's one clear winner! Anthony's is a wonderful Italian restaurant that I've visited several times over the years. Unfortunately, since their food is so fantastic, I've actually never tried their pizza before! My favorite menu item is their seafood fra diavolo and I can never resist ordering that giant monster of a meal and culinary treat. 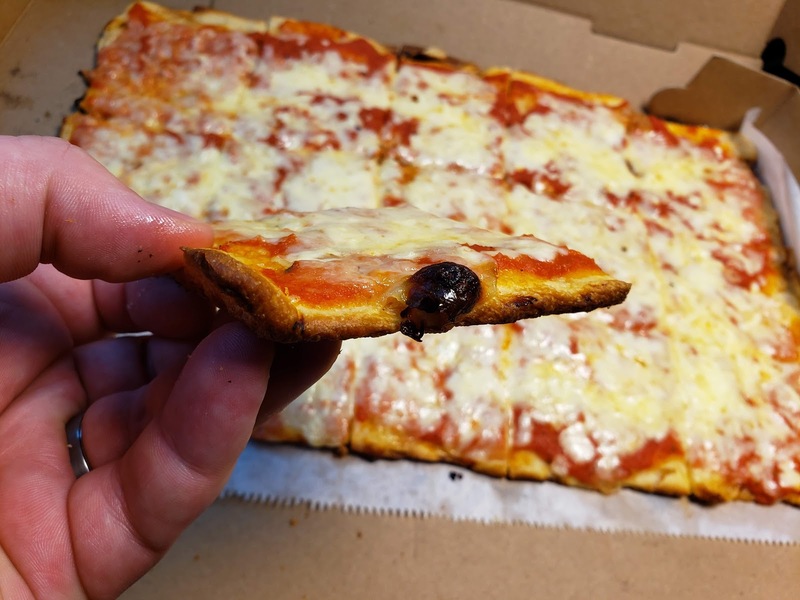 Anthony's is a great place to take a date or go for a special meal, so I'm not sure the broad majority of NEPA think of Anthony's as a mainstream pizza spot, but after my visit I've got a few things to say about that! My youtube review of Anthony's! The regular Old Forge Red looked fantastic in the box. The blend of cheeses sat atop a chunky and vibrant red sauce which rested upon a fresh and golden brown old forge crust. 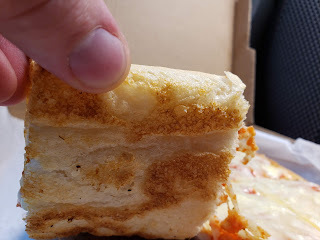 The crust was light, tender, crunchy around the edged and crisp on the bottom. The sauce was my favorite component because it was packed with flavor and had a slightly chunky consistency. There was a bit of onion flavor which I very much enjoyed. 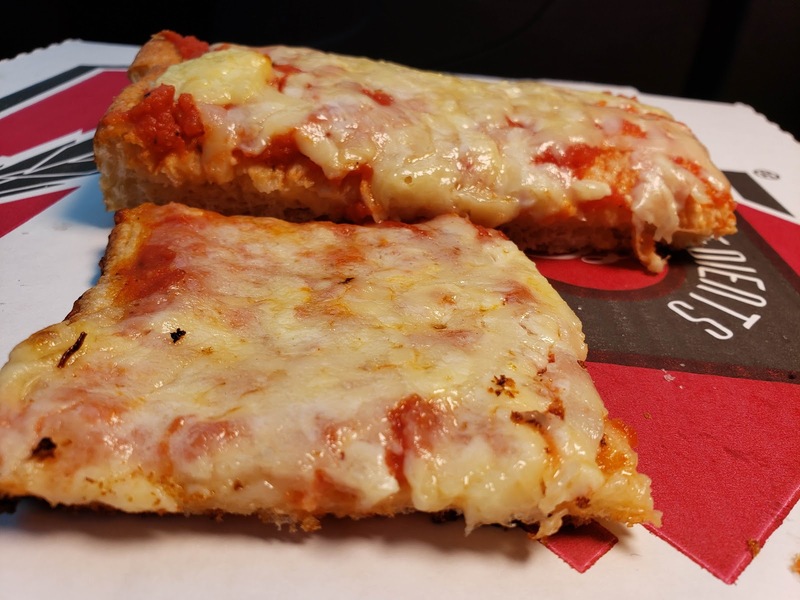 The sauce was equal parts savory and zesty and provided a nice contrast to the thicker old forge crust and the cheeses. The cheese blend was complementary to the rest of the pizza. It wasn't overly sharp but it did add some flavor to the profile. 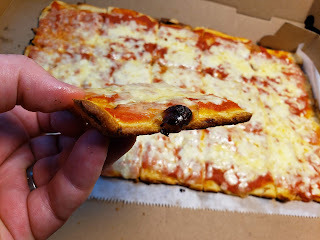 Overall, I did enjoy the pizza and because of the complexity of the sauce, this immediately ranked among my favorite Old Forge pizzas in the pizza capital. 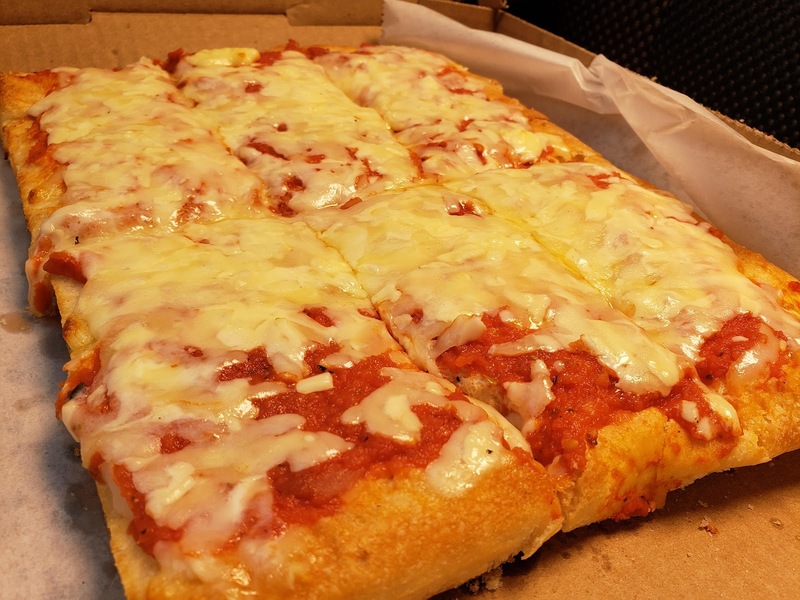 People who are Old Forge fans who haven't tried Anthony's will certainly enjoy this authentic and delicious "tray" of pizza. One could say that the thin red is essentially the same sauce and cheese just on a thinner crust and possibly be correct, but it is so much more than that. I can't be sure that the pizza includes the exact same sauce and cheese and nothing additional, but I can say they are very close. What is truly remarkable about the thin red is just how different it is from the regular red despite sharing many of the same components. 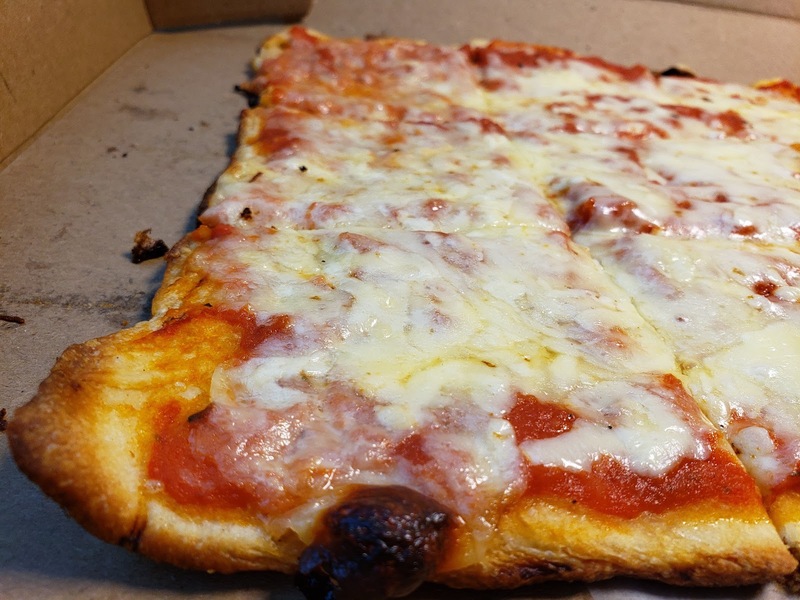 The thinner crust has less dough and allows the sauce and cheese to have more prominent flavor profiles. The less dough to dull the flavor really allows the pungent sauce and flavorful cheeses to shine. The other main difference is that the thin crust is crunchy the entire way through so every bite has a satisfying crispness. If you couldn't tell, my clear favorite of the two pizzas is definitely the thin red! It may be similar in many ways, but the simple tweak in the dough creates an entirely different experience. I very much enjoyed both pizzas and I've returned with a special message for the NEPA Nation: "It's time to start thinking about Anthony's among the Pizza Capital of World Elites." Those who live in town probably already know this truth, but the 570 has to know about this pizza - and don't forget to stop in for dinner as well!